Our Fashion of Film competition will allow designers to showcase their creative talents while incorporating film into their designs. This year’s contest we are asking entrants to design a stylish and innovative garment that reflects their personal interpretation of a fashion flare film. Designers selected for the competition will be notified and required to pay a $99 showcase fee. Each designer will then be announced at our Fashion of Film networking event. Designers will select a number that will correspond to the film or TV show in which his or her design will be created. The model casting call, local press, media, and other industry professionals will be in attendance. Designers will have the opportunity to meet with models should they need them for the design showcase. Designer I Category is open to non- students whether you have 20 designs or none but feel you have a flair for fashion and creativity. Designer II Category is open to students presently enrolled in high school or college. Finalists will present their designs at the Fashion of Film Showcase at the Charlotte Convention Center on Friday, April 11th, 2019, at 8 PM. Winners will be announced at the 9h Annual Red Carpet Vision Awards April 13, 2019, at the Charlotte Convention Center. So what are you waiting for? Now is the time to #CreateYourStoryInStyle! At the 9th Annual Red Carpet Vision Awards, we will announce two winners; one from Designer I and one from Designer II will be crowned. The Designer II winner will receive the title of “Fashion of Film Designer of the Year”, $500.00 cash prize and award. The Designer II winner will be named “Student Fashion of Film Designer of the Year” $250.00 cash prize and award. In addition, each winning Designer will be promoted in after-show media on TV and Social media. Peoples Choice winner will be determined by a public voting system. Voting will take place at the “Fashion of Film Showcase” and will be announced at the Red Carpet Awards Show. The winner will be recognized and receive their “People’s Choice Award”. Designer I – Non- students whether you have 20 designs or none but feel you have a flair for fashion and creativity. The competition has two stages. Stage I: Entrants are required to create a short 1 – 3-minute video highlighting the inspiration behind your reason for becoming a designer. Be sure to include design samples, favorite fashion trends, samples of fabrics used, sketches and images. In the video talk about your favorite movie clothing designs, and why you feel you should be selected as a finalist. • Highlight the inspiration behind your reasons for becoming a designer. • What have you designed in the past or fashion shows participated in (if any upload pictures or video links to support your experience). • Pick one of your favorite movies and describe the fashion scene and add your creativity on what you would add, delete or change. (Please describe the scene of the movie). Submit a headshot and a full body picture and comp card if available. The designer film selection, model call, networking event for every registered model will take place where the designer will choose the model of choice. 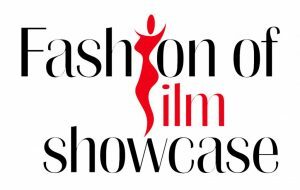 The top three models chosen by the audience and judges at the Fashion of Film Showcase will be awarded at the Red Carpet Vision Awards on April 13, 2019. We receive a high volume of applications, but have limited opportunities to extend to applicants. We review applications multiple times a year in the event we have a need or opportunity available for vendors. If your business is a good fit for upcoming opportunities, we will contact you with additional details. You are not guaranteed a response after filling out this application.